We all want someone to think we're sensational. We desire to be recognized, to be valued, to be respected. To be loved. Yet this natural yearning too often turns into an idol of one of God's most precious gifts: love itself. If you, like so many of us, spend your time and energy trying to earn someone's approval--at work, home, and church--all the while fearing that, at any moment, the facade will drop and everyone will see your hidden mess . . . then love may have become an idol in your life. In this poignant and hope-filled book, Jennifer Dukes Lee shares her own lifelong journey of learning to rely on the unconditional love of God. She gently invites us to make peace with our imperfections and to stop working overtime for a love that is already ours. 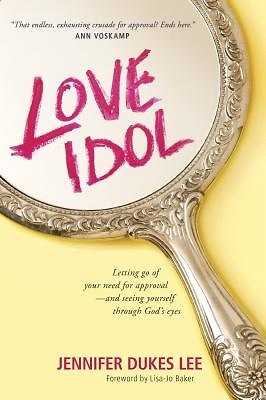 Love Idol will help us dismantle what's separating us from true connection with God and rediscover the astonishing joy of a life full of freedom in Christ.